It’s not about how you start, but how strong you finish. Can you imagine starting out as a child in a house with no electricity and no modern day appliances, to later graduating with a Bachelor’s degree in both Chemistry and Biology as well as a Master’s degree in Public Health? 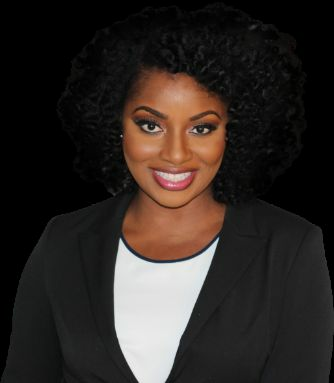 The beautiful, brainy, charismatic native of Ugep -- a West African Village in Nigeria -- Obia Ewah, is the founder and formulator of OBIA Naturals and winner of NaturallyCurly's Editor’s Choice Award for the Best Leave-In Conditioner 2017. Let’s see what the hype behind OBIA Naturals is all about. 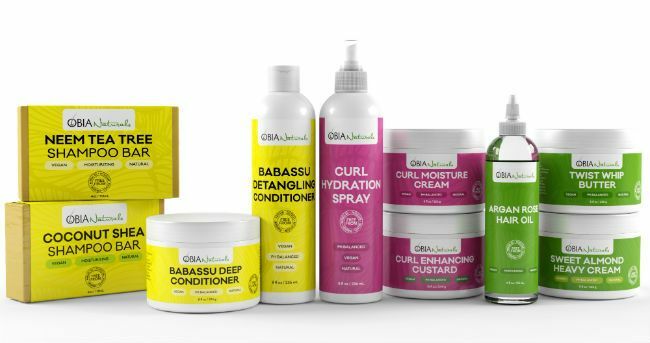 They say that some of the best things are discovered by accident, that’s kind of how OBIA Naturals got started. Obia got sick her 3rd year in college and, as a result, became extremely cautious about the foods and products she allowed into her body. If you have been a faithful follower of the knowledge I dish out to my amazing curly girls then you already know I support those that support the Campaign for Safe Cosmetics and Obia does just that. “It is important to look for products that are free of mineral oil, sulfates, petroleum, artificial colors, drying alcohols, silicone, and gluten," Obia emphasizes. "All of OBIA Naturals preservatives used are free from parabens and formaldehyde, and the fragrances are phthalate-free…” You know this means I’m in a pure product utopia. “Sweet Almond Heavy Cream is a powerhouse of a product! It is a leave-in conditioner by definition, but it can serve as a styler as well, making it an ideal product for protective styling purposes.” But wait! I couldn’t end without giving my beautiful curlies some tips on getting the perfect twist out. For more definition in your natural curls, Obia suggests twisting on refreshed, slightly damp, hair. “I spray the Curl Hydration Spray on a section before moisturizing with Twist Whip Butter. The low pH of theses two products combined will allow me to lock in the moisture and close my cuticles.” I am including a video to give you a step by step. According to Obia, the end all be all to maintaining and growing your hair out is by maintaining its moisture. Remember curl nation, it’s not where your TWA starts as much as it is what you learn and apply on your journey to the final destination. You are strong, determined, and powerful beyond measure, Rock those curls like nobody’s business!